I’ve had a lot of requests for more resources for Wyldlife. I’ve also had lots of emails looking for help with talks. You can find a little of each on YLHelp (just use the search box on the site), but I thought this would be a perfect time to post some Wyldlife talks! This will be a series of five posts that capture five talks I did for a camp at Lost Canyon. 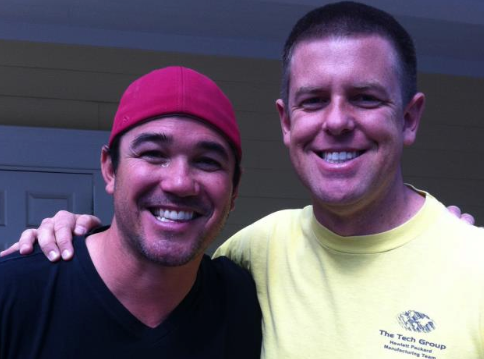 I’ve spoke at Wyldlife summer camp in years past, but this one was recent so I thought it might be helpful. 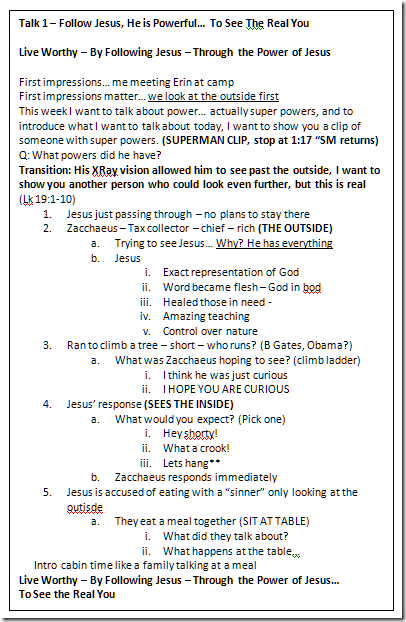 The context was actually not a Wyldlife group technically speaking, but a group of 300+ junior high students that was brought together by a 20+ year veteran of YL, so I basically did WL talks with a tiny tweak (see if you can spot some differences from traditional YL/WL talks as it goes along). Anyway, I hope these are helpful! My theme for all of the talks was to “Live Worthy – By Following Jesus – Through the Power of Jesus”. In each talk I used an analogy of “superheros” to add continuity and curiosity. I will post my unfiltered talk notes, so they may be a bit cryptic. They are literally typed into a “text box” the same size as my Bible so I can cut them out and clip them on the front of my Bible when I speak. So I have to keep them brief and a bit cryptic at times. You will typically see an intro story, a scripture story, and a key phrase I say verbatim at the end of the talk right before I pray. I also will include the cabin time questions. These could turn into campaigner questions if you wanted to use them that way. 1. What are you glad to leave or get away from this weekend? 2. Who lives in your house (including pets just for fun)? Describe your family. 3. What is your first impression of Lost Canyon? 4. Why are first impressions so important? 5. Are there any reasons why first impressions are not helpful? 7. What do you think your friend’s “first impression” of Jesus is like? 8. 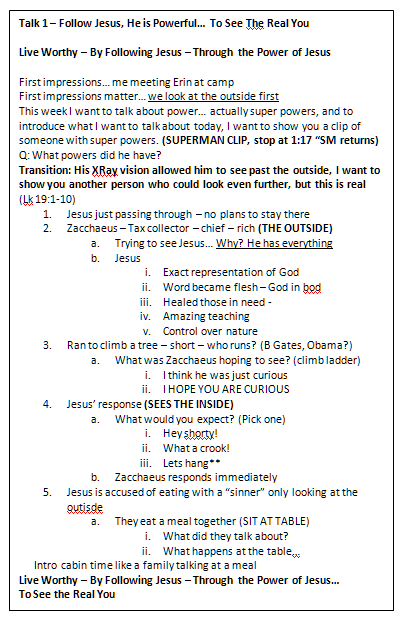 Why do you think Zacchaeus was curious about Jesus? 9. What kind of things happen at a good family meal? 10. Why do you think Jesus thought eating a meal would be the perfect thing for Zacchaeus? 11. Why do you think Jesus was so accepting of a guy that was a crook? 12. What do you think Jesus would think of your outer appearance and actions? 13. What do you think Jesus would think of who you are on the inside? Your thoughts, heart, desire? 14. What did you learn in this talk about Jesus’ power? 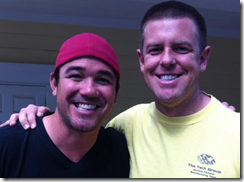 Sean, Thank you for these Wyldlife posts. They are so helpful. I love your use of superheroes v. the real Superhero. Very easy to run with and great talk layouts. thanks for sharing.